Are you ready for the 4th of July festivities, which include fireworks, BBQs and spending quality time with your mobile device? Independence Day is a great time to spend with friends and family, but you can always take a few moments to celebrate the country's independence with some patriotic gaming. We'd like to help you celebrate this special time, and have some of our patriotic picks to begin the 4th with a bang. 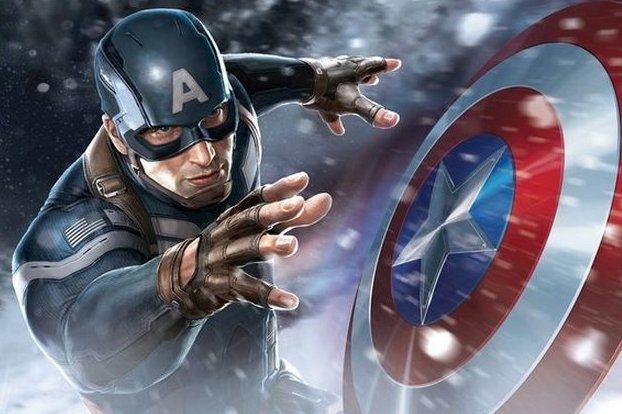 Based on the hit Marvel movie of the same name, Captain America: The Winter Soldier - The Official Game is Gameloft's latest top-down strategy action game where you guide the Captain and his team against dangerous enemies, using tactical planning and melee attacks to your advantage. Assemble your squad and prevent Hydra from destroying America. Sid Meier's Civilization Revolution 2 challenges players to build a glorious empire that will stand the test of time. Made exclusively for mobile devices, Civilization Revolution 2 offers mobile strategy fans a brand new 3D presentation and more tactical depth than ever before. Strengthen your military might with brand new combat units, including Aircraft Carriers, Jet Fighters and Special Forces. Reenact historic events and battles in the scenario mode with updated 3D graphics taking full advantage of iOS devices. Recreate American history with this strategic simulator. Can't make it to your local casino this holiday weekend? Patriotic Slots Free Edition - The Red, White and Blue Family Slot Machine Cupcake Game brings the slot machines home to your mobile device with patriotic flair. Finally, retired War Veteran Buzz Killem returns to action to save America from the wrath of alien invaders. Protect peaceful and pleasant tourist locations like the Statue of Liberty and Grand Central Station from being destroyed. Play through multiple stages with tons of unlockables; new outfits, new guns and power-ups in this retro platformer. You now have some of the best patriotic games literally at your fingertips. Play them with pride.